OTTAWA - Federal lawyers are suiting up for a legal battle over whether a new code of conduct should be retroactively applied to the country's wireless service providers. Industry Canada has asked the attorney general to step in after the Federal Court of Appeal ruled last week that the Canadian Radio-television and Telecommunications Commission could not speak on its own behalf in a lawsuit filed last year. 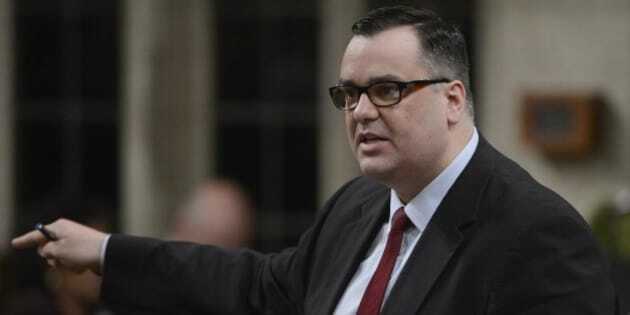 "Our government will intervene in this case on behalf of Canadian wireless consumers to ensure that their voices are heard," said Jake Enwright, press secretary for Industry Minister James Moore. The CRTC introduced the new code in June 2013 to give consumers better protection against high cellphone roaming charges and wireless contract cancellation fees. Wireless operators including Rogers Communications, Telus and BCE Inc. launched legal action last July after raising concerns that some provisions of the code would apply retroactively to all of their customers once fully implemented. Soon after the carriers challenged certain aspects of the code, the CRTC jumped to its own defence, but a Federal Court of Appeal justice ruled that the telecom regulator was overstepping its bounds by doing so. As a result of that ruling, the government is stepping in because it supports the regulator's plan, said Enwright. "We support the CRTC's decision to apply the Wireless Code retroactively," he said in an email Wednesday. "We are committed to protecting consumers' interest by upholding the retroactive portion of the Wireless Code currently under appeal." The move means the CRTC is no longer effectively helpless to defend its own code, which was enacted in December and is scheduled to be fully implemented on June 3, 2015. The Opposition New Democrats are welcoming government intervention, but say it should have happened before the CRTC was admonished in court. "I think they're stepping up to the plate because they were called out on the fact that they were doing nothing," said NDP critic Peggy Nash. "Thank goodness they are finally stepping forward and defending consumers and defending the code." Once in force, the wireless code would require carriers to limit early cancellation fees, data roaming fees and overage charges. It also imposes restrictions on the locking of wireless devices, on security deposits and on device disconnection. Should the wireless carriers lose the court battle, the code would apply to all of their customers, regardless of when they signed contracts. The carriers want the wording of the code changed so that it only applies to customers who sign up for services after the code goes into effect. No date has been set for a hearing, which is expected to take place in Toronto.